Music plays an important role in Constellations, not only by underscoring certain scenes but also in assisting the transition between multiple parallel universes. available on Bandcamp if you’d like to listen (or for those who have already seen the show, re-listen). You can download the tracks in a variety of formats for free, or pay what you like – a great way to support this talented artist! 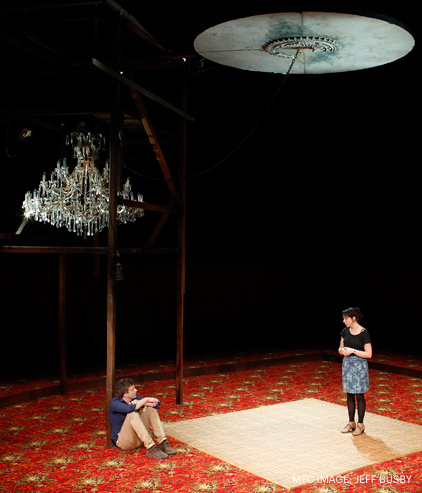 Leon Ford and Alison Bell in Constellations. Image: Jeff Busby. Constellations is playing at Arts Centre Melbourne, Fairfax Studio until 23 March. You can read The Australian’s stellar review of the play here.